and one Earth community with a common destiny. economic justice, and a culture of peace. to the greater community of life, and to future generations. The world has changed greatly in the weeks since the group of us began this collaborative writing. Our topic, the emergence of “living economies”–social and economic systems that are sustainable, equitable and cooperative–has become even more relevant and urgent. Our basic message is this: Humanity, in developing its world in ways which threaten its own survival, is repeating a process experienced many times in nature over billions of years. The only way out of its mess, as been consistently demonstrated in nature, is for a species or life form to break through to unprecedented (and beforehand impossible to perceive) levels of cooperation. We are writing to offer the our best thinking on how the socially responsible business community, along with its allies in the non-profit sector and vast aligned public, can undertake some promising cooperative initiatives which might serve as seeds and anchors of a new sustainable system. Each of us is either a member of Social Venture Network, or plenary speaker at the SVN conference in October 2001. We have each felt called to address some aspect of the theme of living economies in our work and efforts to promote ecological sustainability and social justice. Recognizing that our individual areas of focus and specialty are complementary, we have collaborated on this joint communication about the opportunities and necessities we see. Through this writing, we seek to model the very kinds of cooperation between individuals, communities and organizations–large and small across the world–that we see reflected almost universally in nature and which we believe are essential for survival and fulfillment among living beings. Our purpose is to offer a broad foundation for understanding and working through this unique moment in history. We emphasize that that the very issues before humanity today–how to cooperate as individuals, cultures, nations, regions and globally–as a species, with other humans, with other life forms, and with the Earth herself–are issues that early life forms, such as bacteria and cells, struggled with during the billions of years which bring us to this present moment. Indeed, throughout Earth’s history, life has faced environmental and economic crises, often the by-product of “progress” in evolution. In response to these challenges, life evolved into new forms and discovered ways of cooperating, creating ever more complex and collaborative living systems. In the last century, and particularly in the past few decades, unprecedented technological development has allowed humanity, through organizations of human creation, from governments to transnational corporations, to affect the entire world and all life within it. Amidst great progress on so many fronts, the majority of the six billion people alive today are suffering from dire poverty and/or environmental and related health challenges, while every system essential to supporting life on the planet–ozone, air, rivers, oceans, topsoil, etc.–is in serious decline. Each of us, through our daily individual and corporate financial transactions, albeit blindly or reluctantly, contributes to processes which further stress this system and fuel its devastating ecological and social impacts. While millions of concerned individuals, civic organizations and socially responsible businesses are making commitments to operate in more sustainable and just manners, they (meaning “we”) continue to operate within and reinforce the very system we seek to change. Twenty years ago, it took vision and leadership from pioneers within our community to innovate such then bold ideas as socially responsible business. In spite of devastating global social and economic trends, we’ve accomplished a lot: There are now socially responsible businesses in practically every field of production, service and exchange. Yet we believe that the socially responsible business community, along with its natural allies in the non-profit sector and the vast sympathetic public, have reached the limits of what they can achieve by operating principally within a system geared to generate profit for the few at the expense of the larger world. In “living economies,” goods and services will continue to be produced, distributed and utilized worldwide, but that which is produced–and how it is produced–must fit into more cooperative systems that emulate nature’s cycles in which everything that is eliminated finds a new use, and every form and creature has its place. We believe the time has arrived where this evolutionary step is not only necessary but possible. As leading thinkers, doers and entrepreneurs, the moment has arrived for us to innovate new forms of cooperation that are themselves the seeds of more sustainable and just life-affirming systems. Significantly, we know that in nature, individuation and competition, within and between species, are important driving forces for progress toward mature cooperation. Thus, we do not seek to end all competition, but rather to foster a dynamic balance between competition and cooperation within a higher order framework that is fundamentally cooperative. As we present below, inspiring examples in evolution and in nature today abound. They serve not only as relevant precedents for the shifts the human species–beginning with the individual and local community–must make, but as models for the forms in which the new human alignments can and must occur. Indeed, in our current, unbalanced and largely uncooperative systems, we waste not only physical resources, but human lives, including the compromised spirits of those at every rung of the current economic ladder. The upside, then, is not just survival, but opportunities for fulfillment only attainable when the Earth’s body, and polity, are in good health. While we place tremendous emphasis on biological history and on models that occur in nature, we underscore that science and empirical analysis neither explain nor give context to the mysteries of existence or the spiritual quests behind the forces which motivate life. Beyond all of the words, thoughts and proposals which follow, we recognize that the choice for humanity is a leap that is more intuitive than anything that will be known, controlled or even explained in the terms of the system that itself is the subject of change. Perhaps our greatest task is to intelligently choose trust and love over fear; following a direction many of us have already set through our social values and professional commitments, we need to feel our way through to new forms of alignment. With the recognition that the mandate for social entrepreneurs and the committed public is to innovate along unprecedented cooperative lines, we bring your attention to some specific strategies that we sense are particularly ripe for further exploration, experimentation, organization and advocacy. Specifically, we draw attention to fundamental flaws in the dominant economic system and identify core elements of living economies, pointing out important new and existing cooperative approaches and new initiatives (some within SVN) that deserve attention and support. We identify how the current system’s monetary structure is geared to transfer capital from the poor to the already wealthy and to generate both physical and human waste. We identify ways to restructure local, national and global monetary and accounting systems consistent with sustainability, greater justice and the integration of billions of people now on the economic sidelines. We propose that self-organized yet coordinated local cooperative efforts of businesses and consumers can fortify local economies, mitigating, and over time superseding, the negative effects of globalization. We point to significant trends signifying an emerging world view that is consistent with living economies, sustainability and a more just world order, in an effort to place human history, and the choices before us, in the context of biological evolution. We postulate that, since the socially responsible business movement may have reached the limits of its ability to bring about positive change within the existing unsustainable system, certain innovations, including the introduction of alternative money systems among socially committed producers, consumers and civic organizations, may be timely innovations, allowing, as never before, our collective daily economic activities to foster and reinforce more ecological and economically viable local and global systems. The needs and potential for breakthroughs in how our community helps to catalyze a more just and sustainable system have never been greater. The text which follows provides a sweeping introduction to many concepts, each of which is based on a life’s work by one of us and countless colleagues, predecessors and teachers. Points have been summarized, and in some cases oversimplified, in order to provide an evolving synthesis on the themes of a living economy. While we all support the broad direction and purpose of the statement above and longer synthesis below, we don’t each necessarily agree with every point being made throughout the document. Greater context and detail on each point can be found in our published works and a bibliography follows the document. One of our recommendations is that individuals interested in one area or another form working groups to read and explore the different concepts and organizing opportunities further…and then boldly take actions to innovate practically what today we only know conceptually and instinctually. This statement and the more detailed synthesis which follows is dedicated to Donella Meadows, a tireless sustainability pioneer who died earlier this year. For 16 years Dana wrote an influential weekly column called “The Global Citizen,” commenting on world events from a systems point of view. Dana, much loved and honored by her ever growing audience and colleagues, was the author or co-author of nine books, including The Limits to Growth (1972), The Electronic Oracle: Computer Models and Social Decisions (1983), The Global Citizen (1991), and Beyond the Limits (1992). For an archive of Dana’s weekly op-ed columns, seehttp://www.pcdf.org/meadows/default.htm. In the document which follows, quotes are attributed to us as individuals even if taken from books we may have co-authored with other colleagues. Specific references are provided at the end of the paper if a quote is taken from a published work. Finally, in the spirit of evolution and the theme of this collaboration, this writing is a living document, one which we invite others to respond to, expand, enhance and join. “Having reached the limits of an Era of Empire, humanity is compelled to accept responsibility for the consequences of its presence on a finite planet, make a conscious collective choice to leave behind the excesses of its adolescence, and take the step to species maturity. It is the most exciting moment of opportunity in the history of the species. The human future depends on moving beyond the self-limiting and ultimately self-destructive ways of Empire to live into being a new Era of Community in which life is the defining cultural value, cooperation and partnership are society’s organizing principles, and networking is the predominant organizational form. The culture and institutions of the global suicide economy must be replaced by the culture and institutions of a planetary system of living economies that mimic the behavior of healthy living organisms and ecosystems. Leverage points: In our search for opportunities to leverage important changes in human social and economic interaction, we identify a few key issues in how the current system generates unnecessary waste and how nations don’t even account for–and thus lose the value of–some of their most precious human and natural resources. Waste of the Earth and its resources: The extent of physical and human waste in our current system is both an embarrassment and treasure of rich opportunities. Starting with physical waste, Paul Hawken and Amory and Hunter Lovins, in Natural Capitalism, write that “Americans waste or cause to be wasted nearly 1 million pounds of materials per person per year…[and] this does not account for wastes generated overseas on our behalf. (3)” While this may be hard to believe, they point out that “the amount of waste generated to make a laptop computer is close to 4,000 times its weight. Two quarts of gasoline and a thousand quarts of water are required to produce a quart of Florida orange juice.”(4) Financially, they point out that “..of $9 trillion spent every year in the United states, at least $2 trillion is wasted, [meaning] it represents money spent where they buyer gets no value.”(5) Drawing again from models in nature, the authors postulate that, “eliminating the very idea of waste can be accomplished by redesigning industrial systems on biological lines that change the nature of industrial processes and materials, enabling the constant reuse of materials in continuous closed cycles, and often the elimination of toxicity.”(6) We know that in nature, the waste of one life form is the food of another; everything evolves in nature and nothing is wasted. To move toward a world of zero waste, we need to structure our production systems in ways that turn the materials now wasted into production inputs; across the world, people are learning how to do this by studying what takes place in nature. Our wastes may be our greatest assets: The waste of human capacity is beyond calculation. Yet, like the billions of tons of physical waste we can now envision as sources of capacity, these undervalued people are not a burden on which otherwise productive resources must be spent; rather, their economic and social capacity is the very resource for restoration of overall balance within social and ecological systems. A relevant analogy in nature can be found in how ancient photosynthesizing and respiring bacteria learned to consume each other’s wastes, creating an oxygen and carbon dioxide economy in balanced reciprocity. This cooperative venture was passed on later to plants and animals, which balance their respective needs for CO2 and oxygen to this day. In many parallel moves and with conscientiousness and courage, it is up to humans to achieve a more natural balance in our monetary, economic and social systems. Some ideas about how we can achieve this follow. The biological dance between two systems: Perhaps these positive trends seem inconsequential in light of devastating global social and environmental reality. Again, we can attain perspective and hope from examples in nature. Elisabet and Janine Beynus (Biomimicry) remind us of the metamorphosis of the caterpillar into the butterfly. In its final days of its life as a caterpillar, the caterpillar becomes destructive to its environment and consumes hundreds of times its body weight in food. Glutted, it then creates its chrysalis and begins its transformation. The old immune system resists the change but as new butterfly cells link cooperatively, the old immune system fails and the caterpillar body turns into a soup that nourishes the completion of the butterfly. One of the seeds for such a platform in the world of finance may be found in one of the largest corporations in the world today, Visa International, a non-profit organization that allows competing banks and vendors to cooperate in order to create an environment in which they can independently and competitively expand their operations. Dee Hock, the founder of Visa, has called this kind of self-organization among equally empowered participants “chaordic” in that it encompasses elements of both chaos and order. His book,Birth of the Chaordic Age, prescribes various forms of organizational structure and management systems which resemble biological principles. He also warns that the structure of Visa International unfortunately lacks the principles and practices necessary to ensure that it serve as a model corporate citizen, and emphasizes the importance of integrating values into the organizational form. As we evolve stronger networks of living economies, we anticipate many innovative forms of self-organized, decentralized and values-driven combinations within and between for-profit, non-profit and cooperative organizations. Cooperate with Cooperatives: More significant attention should be given to cooperative forms of organization. Hazel, in Creating Alternative Futures, reported that as early as 1975, there were 22,879 credit unions in the US and thousands of rural electricity, telephony, fishing, housing and even mortuary cooperatives. Recent SVN attendee Andy Ferguson reports that there are about 750,000 cooperatives in the world today, with over 800 million members. The Internal Revenue Code in the US has an entire section (subchapter T) which is devoted to cooperative tax law. There are many large cooperatives that operate in our midst, such as the dairy cooperative, Land o’ Lakes, the cranberry juice manufacturer, Ocean Spray and the hardware chains, True Value and Ace and the large natural foods cooperative, Organic Valley. VanCity, a Vancouver-based credit union, has over $4 billion in assets. Canadian-based SVN member company Mountain Equipment Cooperative is a consumer cooperative that serves its 1.5 million members by selling products at prices which cover its production costs and operating costs. Perhaps the most significant example of an industrial cooperative is Mondragon in the Basque region of Spain. This $8 billion vertically and horizontally integrated worker-owned cooperative system combines the power of a core financial institution with diverse production and service components. The benefit of the cooperative model is that it is geared to produce benefits for its members (who themselves may be producers, consumers or both) and who therefore tend to have a broader stake in the enterprise’s long term success than simply the financial return to the corporate shareholder. Also, in a cooperative, each member is usually given an equal vote in governance, regardless of their size. Why, we must ask ourselves, would we do all of our banking with corporate banks which are geared to make a profit for distant shareholders from our exchanges–when the same services and protections (FDIC insurance, etc.) can be provided by a credit union or cooperative facility that can better serve the needs of a committed community of users? As we explore new modes for cooperation, there are well recognized cooperative structures, and many friends with vast cooperative experience, ready to accommodate us. A place for corporations? 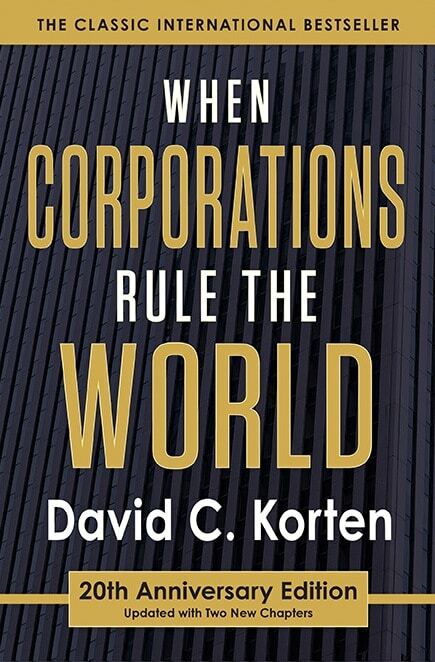 There is significant debate among us as to whether transnational corporations themselves can be “reformed” to be appropriate vehicles for production and exchange in true “living economies.” The problem is not with the corporate structure per se, but with the combination of corporations’ often enormous size, the fact that their ownership is generally unconnected with the locality of their operations and impacts, and with their limited liability and insulation from the consequences of their actions. When you compare that combination of variables with the levels of local security and consumer/ecosystem dedication that smaller, place-based or larger cooperative businesses can and do more consistently provide, it is difficult to see the transnational corporation can serve well in living economies which foster sustainablilty and greater justice. Many painful lessons have been learned by the entrepreneurs who pioneered several of the larger socially responsible corporations within our community, as they took their search for growth capital to public markets which are dominated by laws that place financial priorities over social goals. Within SVN, Joe Sibilia and others are seeking to create a cooperative socially responsible stock exchange, which will allow companies with a social mission, and investors who seek to have their capital grow such companies, to finance on terms which protect the social mission. Some of us hold hope that large corporations can be reformed to be responsive to social and ecological needs. Terry Mollner suggests that there two essential requirements for this, including “a separate, non-profit tax-exempt corporation having a controlling interest in the [operating] business and that the highest priority of the [operating] corporation be the good of all in all it does.”(16) David points out that Terry’s proposal is actually a transfer of ownership and control of a corporation to an entity which is structurally aligned with living economy principles. We fully support efforts to restructure existing transnational corporations as well as initiatives to reform corporate charters, an undertaking being championed by several SVN members. Hazel adds that “the shift from stockholder driven corporate charters to new ‘stakeholder’ models is widespread in Europe and is applied in the multiple social and environmental screens of socially responsible mutual funds and asset managers.” We also recognize from evolutionary biology that cooperative models must balance competitive impulses throughout the system, and therefore that large scale cooperation must also encompass and foster local sustainability and social justice. Ownership Solutions: A world in which billions starve while some people accumulate and hold billions of dollars is neither just nor sustainable. SVN member and former speaker Jeff Gates reminds us that “with globalization has come a dangerous plutocratization….Eighty nations report incomes lower than a decade ago….The world’s 200 richest people more than doubled their net worth in the four years to 1999….What’s the answer?….The only sensible way forward is with policy environments that evoke broad-based indigenous ownership, including ownership by key stakeholders. Absent a policy mix that results in more participative ownership patterning, development will be jeopardized and social stability endangered.” Jeff’s works, particularly The Ownership Solution and Democracy at Risk, discuss numerous innovative strategies to spread ownership widely, so that a rising tide can lift all rafts and not only the yachts. One of the principal (and principle) objectives of living economies can and must be generating ways to eliminate such poverty and to spread global wealth. As we explore living economies and new cooperative systems, not only must ownership be more widely held throughout the world, but the concept of ownership itself is due to evolve. Thinking Systems Thinking: Amory reminds us that if you don’t understand how things are connected, often the cause of problems are the “solutions” you create. By way of example, Amory speaks of how, to stop an outbreak of malaria in Borneo in the 1950’s, the World Health Organization used excessive amounts of DDT, which killed all the mosquitoes, and the malaria declined. But there were side effects: the DDT poisoned bugs which were eaten by geckos, which were eaten by cats, which killed the cats, so the rats flourished; soon the WHO was faced with a potential outbreak of typhus, so it parachuted 14,000 live cats into Borneo. If we look at the world as a living system, and design our economics giving value to all human and natural resources, we can design living economies that contemplate and seek to take advantage of systemic synergies rather than suffering absurdly as we do today the consequences of a failure to do so. Former SVN speaker Gunter Pauli reminds us that in nature, there is a system of exchange between the five “kingdoms”: animals, plants, algae, fungi and bacteria; the waste of one kingdom is always food to another. The system breaks down, with diseases like Mad Cow and Hoof-and-Mouth, when the entities in one kingdom consume waste generated within the same kingdom. Most importantly, the kinds of positive exchange in a system are not directly reciprocal; the tree may produce fruits that birds eat, and the bird droppings feed micro-organisms in the soil which then feed the tree. There need not be a reciprocal exchange between the bird and the tree. But so long as the tree keeps producing fruits and dropping leaves, nurturing the eco-system around it, that system will produce for the tree what it needs to survive. Thus, in a living economy, we need to think in terms of systems where the output of one production process serves as the input of another, recognizing that through the system, the various needs of different entities can be met and that waste should never be wasted. Holistic globalism: Hazel identifies seven levels of the global economy, each of which need restructuring to reflect the dimensions of human economic activity, including: The Global System, The International System, The Nation-State, The Corporate System, The Provincial and Local Systems, The Civil Society and The Family-Individual. The essential re-alignment can and must take place on every level. Indeed, while acknowledging life threatening trends resulting from human activities on all levels continues, seemingly unabated, Hazel identifies progress being made by committed individuals, domestic and transitional civic organizations and governments to bring about an alignment on each level, toward a newly balanced holarchy or Living Economy. We do not see globalization itself as the issue, but rather the limited values by which globalization has been and continues to be implemented across the planet. The principles for a holistic and values-based globalism have been developed, see the Earth Charter, (www.earthcharter.org); the issue remains the processes to achieve a new globalism in light of the unacceptable and unsustainable globalization which now dominates the world. David discusses this very point in a recent keynote address at the U.S. launch of the Earth Charter; see <http://www.pcdf.org/2001/EarthCharter.htm>. As David and Elisabet put it, we need to live the alternative system into being, displacing the old system with new actions and belief systems that mimic the succession processes we find in nature. A new belief system and corresponding immune system need to take hold, developing new patterns for production, consumption, exchange and communication. We are evolving: Perhaps humanity is maturing, as people, communities and businesses worldwide are choosing to align themselves with a more just and sustainable world. And is it not apt, in its late stage resistance to such evolution, that certain leaders with old world views might rise to the global stage? The identification by sociologists Paul Ray and Sherri Anderson of a large, highly educated and environmentally oriented segment within the world economy, called the “cultural creatives”, may be representative of this new collective maturity taking hold. Bernard Lietaer writes that “while cultural creatives were still statistically undetectable 20 years ago (less than 3%), they now represent 23.6% of the population (44 million adults in the U.S.)….This trend may actually be a global one.”(20) Indeed, Bernard writes that the secretariat of the European Union used Ray’s values questionnaire identifying cultural creatives its monthly Euro-Barometer survey of all 15 nations (800 interviews per country) and found to its surprise that the percentage of cultural creatives is as high in Europe as it is in the U.S. Further, Duane completed another study to indicate that this shift is a global phenomenon. He writes that, “considered together, trends seem to indicate that a global paradigm shift is underway.”(21) While those identified as cultural creatives have diverse values and preferences, the assertion is that a significant shared consciousness and more holistic world view are beginning to take hold in the United States, Europe and other “developed” countries. Now we are ready to create a new playing field: Despite these important shifts, even the most environmentally committed cultural creatives likely conduct over 90% of their daily economic activities within the unsustainable system, fortifying it with each dollar earned, spent and invested. New forms and mediums of exchange among aware and committed Living Economy participants are needed to translate the consciousness of the new immune system into a tangible and viable alternatives to the prevalent social and economic system. For this, we turn our attention to the role and impact of money in its current form and shed light on alternatives that reflect and might help fuel this cultural and evolutionary shift. Interest directly encourages systematic competition among the participants in a system. Interest continually fuels the need for endless economic growth, even when actual standards of living remain stagnant. Let it flow: Another key component about current national currencies is that they are both a means of exchange and a store of value. We generally assume that these two components as core elements to money, but the only essential characteristic is that money be a means of exchange. Indeed, when money functions as a store of value, money itself–as much or more than the goods and services it buys–becomes capable of generating more money. As a result, beyond the need to have healthy savings, the current money system incentivizes people to hold (or hoard) money; when money doesn’t circulate, it becomes scarce and investment becomes more about making money than about generating goods, services and new wealth. David and Hazel alert us to the fact that two trillion dollars change hands in world markets each day–but that only 2% of those exchanges have anything to do with goods and services. That means that 98% of these transaction seek purely speculative profits that contribute nothing to the creation of wealth. Edgar writes “Money has taken on a life of its own: its function is to produce for the sake of reproducing–regardless of the impact on its health on the human community….Increasingly, what we are witnessing in the world’s money markets looks more and more like cancer.”(28) Therefore, to the extent we can utilize complementary currencies which serve as a means of exchange but not as a store of value, this seriously negative dynamic of money can be mitigated. The oldest and largest complementary currency, the Swiss WIR, celebrated its sixty-fifth anniversary in 1999, with annual volume of over US$2 billion and 80,000 members from all areas of the country.” Hazel cautions against efforts to make a complementary currency convertible with national currencies, “The only problem with the WIR came when the organizers tried to make it convertible with the Swiss franc. We should learn the lesson that all such complementary currencies must remain insulated from existing fiat (national) currencies, if we are to protect the new values systems and the integrity of our independent electronic trading platforms.” Bernard has indicated special cautions must be taken if a complementary currency is going to attempt convertibility into a national currency. Hazel, Bernard and David agree that convertibility among complementary currencies, for example allowing a credit in a California program to be respected in a New York program, is advantageous and likely workable. An example is that Alice baby sits for Jackie’s children for an hour and Alice earns a credit, which she uses to get Sam to mow her lawn. Sam uses his credit to have Sue repair his clothing, and onward. The impact is not only that those “without resources in the monetary economy” can now translate their time, caring and ‘non-monetary economy’ expertise into currency which can be exchanged for other services of value, but beyond that, the personal empowerment of the individual and community is extraordinary. Whereas you probably won’t know about your neighbor’s skills, or ask her a favor in isolation, this system unleashes the vast potential for humans to restore the declining social fabric in communities, the very engagement that is needed to support the evolutionary shift into cooperative/competitive mode. Edgar calls the bridging of the monetary and non-monetary economies “co-production”, which he regards as imperative, since “trying to fix the non-market economy from the outside won’t work…In order to make social solutions effective, you need for the recipients to contribute what they can, and for the system to value what they can contribute.”(32) And here again, we are able to use the biological examples of reorienting ourselves and evolving to make use of what was formerly considered waste. Money’s subliminal but not so subtle impacts: In a yet to be published book, The Mystery of Money, Bernard writes of the powerful impact our monetary systems have on our thinking, not only of commerce, but of the world and our views of ourselves. Indeed, he emphasizes, what we know about money is but the tip of the iceberg. Bernard focuses on two important periods in history when money was neither interest bearing nor a store of value, but rather, when money served only as a means of exchange, namely ancient Egypt and the early Middle Ages. In both of these periods, money expired if not circulated, since it was perceived like a public service–a small fee (a demurrage charge) was charged for the time one used (or hoarded) money. During these periods, economic systems flourished because money circulated through society and, as imbedded interest was not causing people to discount the future, long term investments were made in pyramids and cathedrals. Interestingly enough, the very civilizations that had such “non interest bearing, means of exchange only” currencies had archetypes or world and cosmic views which honored the feminine, and there was a reverence of the Earth and a connection to the life which it supported. It is relevant to note that the patriarchal assumptions which have defined so much of the Industrial Age took hold at a time when the current monetary system was established. Toward a balanced world view: Russell Means’ forthcoming book, Return to a Matriarchal Society of Balance,” begins with an explanation of matriarchy because “matriarchy is the secret to balanced relationships, and balanced relationships are the key to health and harmony in marriages, families, villages, nations and international communities.” Russell explains that “Male-oriented society (patriarchy) conceives all (personal, marital, familial, business, political) relationships in terms of dominance and manipulation. Matriarchy (contrary to the way in which it is defined in patriarchal societies) does not mean that women rule over men. Instead, matriarchies are female-oriented. This means that the woman’s power of intuition, perception and attunement to the natural rhythms of life and the gifts of revelation that flow from the Great Mystery is honored. Patriarchal societies, worshipping consumption, attempt to dominate the earth, its peoples and natural resources. Matriarchal societies, to the contrary, honoring Grandmother the Earth, listen to the secrets she reveals and respect every living being. Matriarchal societies understand that every human being is the center of the universe and that every decision an individual makes must be undertaken with the knowledge that one action will affect at least seven future generations. Matriarchies, therefore, focus their energies on improving relationships among all living beings.” Hazel refers us to additional works in this area by Charlene Sptetnak, including The Politics of Women’s Spirituality and Charlene’s shared work with an earlier SVN speaker, Fritjof Capra, Green Politics. It is interesting and appropriate to note that, among the shifts being witnessed in the demographic called the cultural creatives is a tendency to a less patriarchal, more holistic world view. In this context, a patriarchal world view presumes that it’s approach is the only way, that it knows all and understands everything and that it is possible to be totally logical, rational and objective. An more feminine world view is more integrative, accepting duality and mystery. Civil rights, women’s, sexual liberation, alternative health, environmentalism, transcendent religion and world culture movements are reflective of this new integrative consciousness. It coincides with a time in history when cooperation on projects of long term and mutual significance is critical. To facilitate the alignment of those of us who feel the calling to sustainability and greater justice on the planet, we may need to implement currencies which are grounded in a world view that fosters nurturing, long term thinking and cooperation. 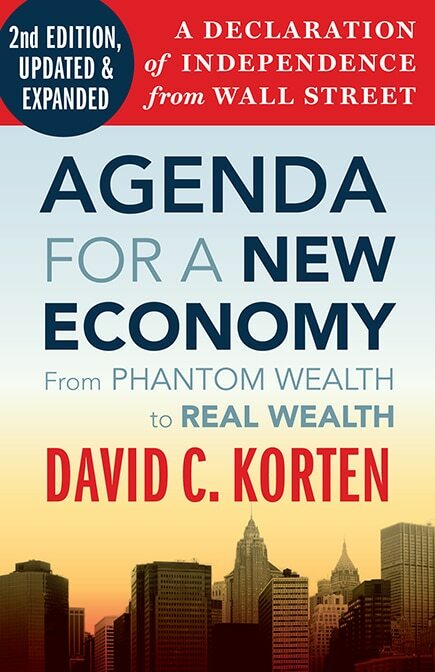 A scenario: None of us are calling for the immediate end of national currencies, but rather we recognize the many powerful possibilities of primarily locally-based complementary currencies, particularly ones which are not debt-based, fueling, through interest, a discounting of the future and a transfer of wealth to the already wealthy. Existing complementary currencies could be more widely integrated into the movement for living economies, and be used, along with national currencies, for partial payments on many daily items. And while most people are naturally “afraid” of using alternative currencies, we need only remember that the ones we now exclusively rely on are valuable only because of mutual trust in an economic system we know is unsustainable and unreflective of our values. Having a non-interest bearing money will naturally coincide with a world view that favors long-term over short-term investment. Having a money which does not generate value, but only serves as a medium of exchange, will encourage that money to circulate, causing resources to be more naturally distributed within communities based on real contributions and productions. Such complementary currencies could help instill a new, more life-affirming and less patriarchal archetype among humans as they cross the critical evolutionary threshold into cooperative/competitive humans. Of equal importance is the enormous impact complementary currencies can have, by keeping money and resources within committed communities, whether they be local or values based. Imagine that businesses and individuals committed to sustainability, accepted dual currencies for their goods and services. One could pay 60% of a meal in the national currency and 40% in a locally-based complementary currency. The business could use the currency to partially pay their employees, who could use them with any vendor who is part of the sustainability movement. Sustainability movement publications would accept them for part of advertising and subscription costs, our entertainers for performances and art, our farmers, hotels, restaurants, conference centers, teachers, alternative health practitioners, distributors, non-profit organizations, etc. could all accept the currency, enabling resources of aligned communities to recirculate within businesses, consumers and civic organizations who share a social and environmental commitment. A Time Dollars element could foster much broader participation in non-profit groups who formerly needed market economy cash to pay for services, enabling them to rise more formidably to their important tasks. The currency would most likely be an electronic credit system rather than a paper scrip, perhaps utilizing a “cash chip” function now seen on many credit cards, particularly in Europe. The point is that we have our green building industries and green markets, we have our alternative media, alternative health and alternative lifestyle industries as well as vast facilities for socially geared investment management. We have the manufacturers, distributors and retailers which sell us our greener and fairer traded products. A complementary currency which each of us, our employees and vendors, our farmers, restaurants, retailers and the many thousands of committed non-profit organizations would accept (as partial payment) for goods and services, would create an unprecedented reinforced flow between us, a new commitment between consumer, producer, activist and potentially also investor, hopefully allowing “us” to evolve our forms of cooperation to new, timely and essential heights. Again, we don’t see the implementation of complementary currencies as a cure all for the world’s social and economic problems. What humans produce and how we produce it, how we consume and exchange, what we value, own and what we treat as part of a global “commons” are all parts of an evolving equation. Yet, money, as a means of exchange, uniquely touches practically every aspect of our daily lives. It is critical that conscious and committed individuals, businesses, civic organizations and communities find ways to align our actions with our values, and to strengthen our allies through the process. Thus, as we move forward with many levels of enterprise and activism, complementary currencies–which have the capacity to meaningfully engage in the system many of our essential allies who not now (or likely to ever be) part of the traditional monetary economy–can play an important role in strengthening and re-enforcing our efforts to build living economies. Let our money fertilize the living economies: In Going Local: Creating Self-Reliant Communities in a Global Age, Michael draws attention to the economic multiplier. “The expenditure of a dollar generates more than a dollar’s worth of activity. A worker who receives a paycheck of say $500 might spend half on food and half on rent. The market that sold the food might us its $250 in revenue to buy more produce from local farmers and the landlord might spend his or her $250 on electricity from the local utility. Every expenditure cascades into a larger number of transactions that enrich the community. Once a multiplier leaves the community, the benefits of subsequent transactions are lost. 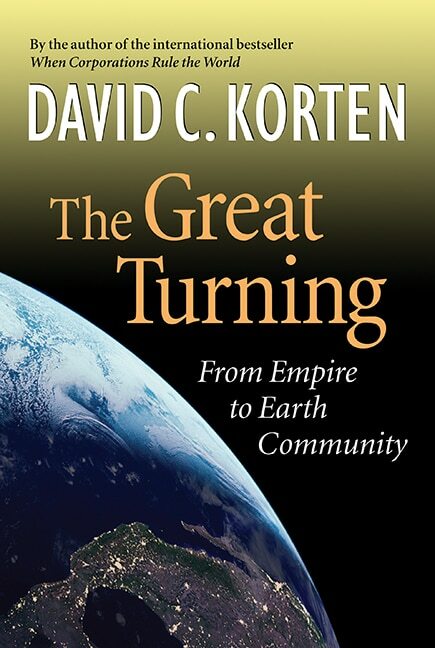 A community in which money flows out quickly and never returns slowly bleeds to death.”(34) Thus, to the extent that we utilize complementary currencies to enable our capital, labor and resources to reinforce the participants in the living economy, the stronger the living economy will grow, offering more opportunities for each of us to employ sustainability-favoring currencies. New organized responses: It is probably no coincidence that at the very time that many of us are collaborating on this writing, and offering presentations at the upcoming (October 2001) Social Venture Network meeting, SVN itself is launching a Living Economy Initiative. As its convenor, Judy Wicks, has written, “A sustainable global economy (socially, environmentally and financially) is based on sustainable local economies. As wealth and power continue to consolidate into growing transnationals, small and medium size companies can help turn the tide for social and environmental justice by focusing on supporting local economies and communities, both nationally and internationally…. Eat that: Many people believe the first place to focus energies around building living economies is around food. According to a chapter in The Case Against the Global Economy, (Jerry Mander, Editor) “corporate agribusiness manufactures and markets over 95% of the food in the U.S….US and European food is so cheap that it is replacing the native diets of peoples in Africa, Asia and Latin America, destroying native agriculture systems and accelerating urban migration.”(38) This is an issue which ties our own most vital life sustaining input, our daily bread, to social and economic impacts on people across the globe. As Judy has modeled at the White Dog Cafe, food is an appropriate place to build a web of committed producers, service providers and consumers, restoring the fabric of a healthy society, while nurturing ourselves and the earth around us. John Robbins’ newest book, The Food Revolution, walks us through the many myths the food industry has perpetrated, so many of which are accepted as facts by the “educated” public. The issues go from believing livestock is humanely treated (did you know that “free range” chicken is likely not ‘cage free’ chicken? ), to use of millions of tons of antibiotics in livestock. For example, a Yale University study recently found that 13% of cases in the Connecticut area that had been diagnosed as Alzheimer’s disease were actually the human form of Mad Cow Disease; even the National Cattlemen’s Beef Association now acknowledges that people consuming products containing nervous system tissue from cattle infected with Mad Cow Disease are at risk for the disease. But at this pivotal moment in history, perhaps the largest issue before us, as we look to build living economies and preserve our environment, is to hold the line on genetically engineered foods. John emphasizes that, at this point, soy, corn, canal, and some papayas are the primary commercially available foods that have become the subject of major genetic manipulations, with 72% of worldwide production being in the US. The balance is in Canada (10%) and Argentina (17%). John advises that the Europeans and Asians don’t want our genetically engineered products; US overseas corn sales are down 95%, which is generating some interesting coalitions between farmers and environmentalists. John sees an opportunity to link the support of locally grown food efforts with efforts to block new GMO products and to enforce labeling of GMO products. John points out that whereas the organics campaign in which so many SVN members were important participants might have been seen by some segments of the public as an elitist concern, the GMO issue can bring together farmers, environmentalists and consumers throughout the world on all levels of the economic scale. Since GMO foods (and efforts to resist their labeling) are being promoted under the banner of “free trade”, this timely issue can strategically be embraced by those of us who are committed to building alternatives to globalization and to the “food for corporate profit” model. A GMO campaign offers a strong example of how alliances between consumers, businesses and civic organizations can align to hold the line on a very timely issue, one which will for long into the future, perhaps forever, impact living systems and our efforts to maintain ecologically-based living economies. Windows of light: Beyond the food area, so many of the makings of a sustainable living economy have developed over recent years, and they are being patronized by millions of sustainably inclined consumers. Many of us, feeling the calling to respond to this wave, believe we have spent our lives preparing to participate in the major change that our survival now requires be upon us. We recognize this shift as a defining characteristics of ourselves and our chosen communities, yet, certain connectivity between our emerging identities and daily practices is not yet in place. Despite the many socially responsible businesses we have created and patronize, most of us, as individuals, families and companies, fundamentally participate in the unsustainable economy; we further its unacceptable impact with most of our daily economic interactions. It is very difficult for even the most socially responsible producers to reach the highest levels of sustainable production and service–accounting for what unsustainable producers treat as “externalities”–when their competition provides cheap, convenient but unsustainable alternatives. The costs of social responsibility are likely to be a limiting factor in achieving social responsibility–unless and until committed consumers align with committed producers. As noted earlier, if we as consumers commit to buy from committed sustainable producers, thereby reducing the marketing expense (of up to 65%), the margins are available to enable sustainability-committed producers to produce in more ecological ways and pay fairer wages, while providing a product at a competitive price. Such changes will be reflected throughout the economic chain, including alternative approaches to financing and ownership, and most likely also in innovations in the monetary systems employed. One could envision new delivery services from now under-employed people, perhaps paying them in part with complementary currencies that are accepted within this cooperative system of consumers, producers and vendors. The positive sign is that the participants (socially responsible consumers, producers, service providers in every field) have emerged, and the directions we need to explore are becoming clearer. Now, more than ever, it is time for us to join voices and visions and to innovate on new levels. The Medium of Media: We now have the tools that can transmit a single idea to several billion minds at virtually the same moment. This can be extraordinarily positive or negative, depending on the ideas and information transmitted. Duane reminds us that “In the United States, 98 percent of all homes have a TV set, which the average person watches more than four hours a day. Taken together this means that Americans watch approximately one billion person-hours of television daily. The majority of Americans get a majority of their news about the world from this medium. A similar emphasis on televised communication exists elsewhere around the world.” We know that for the most part, the media which controls television globally is deeply connected with the global corporate interests that are part and parcel of the predominate unsustainable and unjust economic system. Thus, alternative media in all forms, and strategic use of the internet, are of critical importance, since is it all too easy to believe that the news and perspectives in dominant media reflect not only truth, but reality, defining the collective sense of what’s fair and what’s possible. Within SVN, there are several media initiatives worthy of our support. And, when we use the media to communicate positive ideas, visions and opportunities, the possibilities for triggering alignment among many who are sensing the same calling and just awaiting reinforcement, are extraordinary. The great opportunity: Humanity’s next evolutionary leap will require individual and collective courage to trust and cooperate. Through that leap, we will evolve new life-affirming ways to relate to all others with whom we share this world. Many trends are moving in that direction, but in the larger economy, we are continuing to act within and fortify the very system we seek to change. We doubt that it is possible to “win” this game without changing the rules by which we ourselves play, thereby creating a new and inviting playing field which others can easily join. In the past decade, the internet has allowed for unprecedented and relatively inexpensive information flow and communication worldwide. We live in the information age, and information is abundant. Are we ready to leverage that abundance to navigate our way beyond our current systems which assume and sustain scarcity? We believe it is significant that the internet has arisen at the same time as a new, more holistic world view has emerged among over 100 million “cultural creatives” worldwide, many of whom are at the top of the world’s economic ladder. Never before has a species been able (or required) to see its own evolution, but the urgency is now being met with the physical and metaphysical capacities to accompany this change. Our task is not something that can be understood or adequately explained –before we’ve actually done it. It’s not possible to know how to live in these more cooperative patterns, until we ourselves have evolved. Like the salmon’s journey to their spawning grounds against countless obstacles and odds, we need to awaken our homing instincts to find our way to balance with nature. This is a process that relies both on our minds and our hearts, on science and sound economics, and on values and trust that can only be grounded in a connection with spirit, however we–individually and collectively–experience it. For those of us who feel called to be responsive to this challenge, the moment is here. So, let’s feel our way through this challenge with our eyes open wide to global reality and its true possibilities; let’s think rigorously about the systems we need to create to allow all life to prosper in this world. Let’s set our compasses to track evolving visions we will dream and realize together, guided by brave and compassionate hearts, intuitive minds, following a light we best know as love. Throughout this document, we’ve emphasized that nature and evolutionary history provide relevant models for solutions to most current human challenges. We see great hope in cooperative business forms, such as consumer cooperatives that ensure production is geared to benefit consumers, and non-profit alliances between for-profit companies, reflecting self-organizing, decentralized and fluid systems that incorporate and strengthen our deeper values and commitments. We believe that currency innovations hold particular promise to enable socially responsible businesses, civic organizations and millions of aligned individuals to develop more self-reliant and globally networked local communities. We also emphasize the importance of restructuring national and global economic accounting systems to accommodate currently excluded natural and human capital. Finally, we stress the importance of aligning our individual and collective economic activities along the lines of natural systems, thereby fortifying economies which honor the Earth and the many life forms with whom we share it. We are ready to participate in new initiatives, and in reading and discussion groups on any related subject, that we might develop a common base of insight and knowledge, deepening the already rich fields of trust within our extended communities and fostering alignment of our organizations and actions. Its time for new forms of collaboration. In that spirit we have joined our voices and created a stronger context for presenting our individual ideas. We have no certainty about which actions are most timely–but we do share the conviction that this is the moment for unprecedented cooperation among the socially conscious and concerned. To our knowledge, the socially responsible business and non-profit communities have yet to develop a coordinated plan which most powerfully connects the dots between our businesses, resources and the vast communities we serve. So let’s model nature and self-organize; let’s reach out to each other in new ways and bring our selves, our communities and our organizations into more focused forms of collaboration. It is time for some bolder steps, and yes, there is dancing at this party. Larry Brilliant is a student of karma yoga, a hog farmer, technologist, somewhat hypocritical philosopher and physician, who helped lead the successful UN World Health Organization campaign to eradicate smallpox in India and founded the Seva Foundation (www.seva.org) which has done over 2 million free eye operations. Wired magazine calls him a “technology visionary” because he co-founded, with Stewart Brand, the legendary online community “The Well” and FastCompany says he is “two-thirds Dalai Lama, one-third Chauncy Gardiner”. Dr. Edgar Cahn is Founder and President of the Time Dollar Institute and author of No More Throw-Away People and Time Dollars with Jonathan Rowe. His long and distinguished career includes working at the Field Foundation, founding the Citizens Advocate Center and positions at the University of Miami School of Law, Florida International University, the London School of Economics and U.D.C-David C. Clarke School of Law. Duane Elgin is the author of Promise Ahead: A Vision of Hope and Action for Humanity’s Future, Awakening Earth: Exploring the Evolution of Human Culture and Consciousness and Voluntary Simplicity: Toward a Way of Life that is Outwardly Simple, Inwardly Rich. In addition, Duane has worked: as the founder and director of a non-partisan media reform organization seeking to revitalize the conversation of democracy; as a senior social scientist and “futurist” at SRI International; and as a senior staff member for a joint Presidential-Congressional Commission on the American Future. Hazel Henderson is a world-renowned futurist, evolutionary economist, consultant on sustainable development and author of Beyond Globalization, as well as seven other books and over 250 published articles in such journals as The Harvard Business Review, The New York Times, The Christian Science Monitor and Challenge. In 1996, Hazel shared the Global Citizen Award with Nobelist A. Perez Esquivel of Argentina. 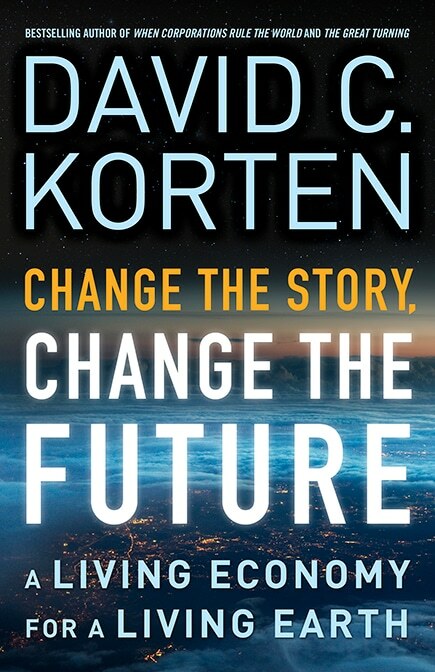 David Korten is President of the People-Centered Development Forum and co-founder and board chair of the Positive Futures Network, which publishes YES! A Journal of Positive Futures. David has over thirty-five years of experience in preeminent business, academic and international development institutions as well as in contemporary citizen action organizations, is the author of several books including When Corporations Rule the World and The Post-Corporate World: Life After Capitalism, and frequent keynote speaker at conferences around the world. Bernard Lietaer, one of the original architects of the European single currency, wrote The Future of Money while a fellow at the Center for Sustainable Resources at the University of California at Berkeley. He has been active in the domain of money systems for a period of 25 years in a variety of positions including professor of International Finance at the University of Louvain, Central Banker, president of Electronic Payment System and currency trader. Russell Means is a self-described activist, actor, artist and author, whose activism has spanned over 30 years, including the legendary siege of Wounded Knee 1973. Once called “the most famous American Indian since Sitting Bull and Crazy Horse” by the Los Angeles Times, Russell’s current projects include running for governor of New Mexico, realizing his vision of a Total Immersion School in the Lakota Sioux culture and language, developing alternative energy on the Pine Ridge Sioux Reservation in South Dakota that will ensure social and economic stability for future generations. Elisabet Sahtouris is an evolution biologist, futurist, author, lecturer, and business consultant. She has taught at the University of Massachusetts and M.I.T., was a science writer for the NOVA/HORIZON TV series, is an internationally popular lecturer, television and radio personality, and is the author of EarthDance: Living Systems in Evolution, Biology Revisioned, co-authored with Willis Harman and A Walk Through Time: From Stardust to Us. She is a resident visionary advisor to SVN. Judy Wicks, White Dog Enterprises, Inc.
Judy is Founder and President of White Dog Enterprises, Inc., which operates the White Dog Cafe and an adjoining retail store, The Black Cat. The cafe is dedicated to purchasing from local organic family farms, hiring from inner city communities, paying a “living wage” to all staff, and social activism. Judy has convened the SVN Living Economies Initiative to advance sustainable local economies by promoting local networking of like-minded entrepreneurs, promoting local sourcing, purchasing from rural, inner-city, and other locally owned companies and producers, protecting local natural resources and demonstrating and teaching environmentally sustainable practices. Judy subsequently joined with SVN member Laury Hammel to launch the Business Alliance for Living Economies (BALLE). Beynus, Janine, Biomimicry. New York: William Marrow & Company, 1998. Cahn, Edgar S., No More Throw-Away People: The Co-Production Imperative. Washington D.C.: Essential Books, 2000. Elgin, Duane, Promise Ahead: A Vision of Hope and Action for Humanity’s Future. New York: William Marrow, 2000. Gates, Jeff, The Ownership Solution. Cambridge: Perseus Books, 1999. _______________, Democracy At Risk. Cambridge: Perseus Books, 2000. Hawken, Paul, Lovins, Amory, and Lovins, L. Hunter, Natural Capitalism: Creating the Next Industrial Revolution. Boston: Little, Brown & Company, 1999. Henderson, Hazel, Building a Win Win World: Life Beyond Global Economic Warfare. San Francisco: Berrett-Koehlers Publishers Inc., 1995. 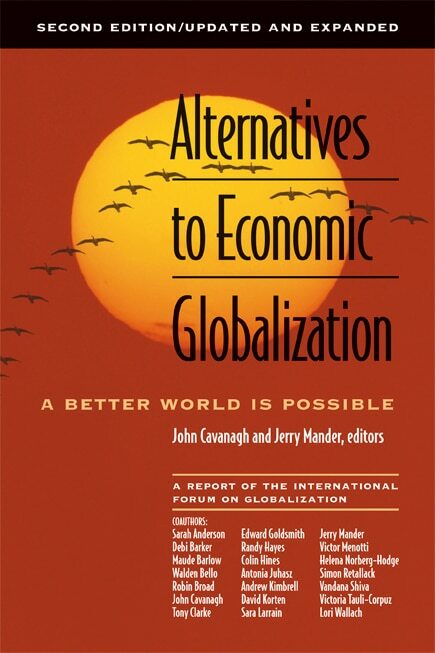 _______________, Beyond Globalization: Shaping a Sustainable Global Economy. West Hartford: Kumarian Press, 1999. _______________, “Mapping the Transition from GDP-growth To Rising Quality of Life,” Forthcoming in Nikkei Ecology, 2001. Hoffer, Doug, and Kahler, Ellen, Vermont Job Gap Study: The Leaky Bucket. Burlington: Peace and Justice Center,www.vtlivablewage.org/JOBGAP6a.pdf, 2001. Hock, Dee, Birth of the Chaordic Age. New York: Berrett-Koehler Publishers, 1999. _______________, “From the Love of Money to the Love of Life”, Keynote address, First Annual Earth Charter Community Summit, http://www.pcdf.org/2001/EarthCharter.htm, 2001. Liebes, Sidney, Sahtouris, Elisabet, and Swimme, Brian, A Walk Through Time: From Stardust to Us. New York: John Wiley & Sons, Inc. 1998. Lietaer, Bernard, The Future of Money: Creating New Wealth, Work and a Wiser World. London: Century, 2001. _______________, The Mystery of Money: Beyond Greed and Scarcity. Forthcoming. Lehman, Karen, and Krebs, Al, “Control of the World’s Food Supply,” in The Case Against the Global Economy and for a Turn Towards the Local, Edited by Jerry Mander, and Edward Goldsmith. San Francisco: Sierra Club Books, 1996. Mollner, Terry, “Economic Maturity Beyond Capitalism: What Will Define the Next Stage?” in World Affairs, Volume 5, Number 2, April-June 2001. Pauli, Gunter, Upsizing: The Road to Zero Emissions. Sheffield: Greenleaf Publishing, 1998. Ray, Paul H., and Anderson, Sherry Ruth, The Cultural Creatives: How 50 Million People are Changing the World. New York: Harmony Books, 2000. Robbins, John, “Food,” in Imagine: What America Could Be In the 21st Century, Edited by Marianne Williamson. Daybreak, 2000. _______________,The New Food Revolution: How Your Diet can Help Save the Your Life and the World. Berkeley: Conari Press, 2001. Roddick, Anita, Take It Personally: How Globalization Affects You. London: Thornson, 2001. Sahtouris, Elisabet, EarthDance: Living Systems in Evolution. New York: Praeger, 2000. Shuman, Michael H., Going Local: Creating Self-Reliant Communities In A Global Age. New York: Routledge, 2000. _________________, “Amazing Shrinking Machines: The Movement Towards Diminishing Economies of Scale.” In New Village: Building Sustainable Cultures, Issue 2 2000. Soros, George, “The Capitalist Threat,” in Atlantic Monthly, February 1997,http://www.theatlantic.com/issues/97feb/capital/capital.htm. Wheatley, Margret J., “Restoring Hope to the Future Through Critical Education of Leaders,” in Vimukt Shiksha, March 2001. 2. Anita Roddick, Take It Personally: How Globalization Effects You, (London: Thornson, 2001), From Introduction. 3. Paul Hawken, Amory Lovins, T. Hunter Lovins, Natural Capitalism: Creating the Next Industrial Revolution, (Boston: Little, Brown & Company, 1999), 52. 7. Hazel Henderson, Beyond Globalization: Shaping a Sustainable Global Economy, (West Hartford: Kumarian Press, 1999), 10. Life,” Forthcoming in Nikkei Ecology, 1. 10.John Robbins, “Food,” in Imagine: What America Could Be in the 21st Century, (Daybreak, 2000), 63. 11.Elisabet Sahtouris, EarthDance: Living Systems in Evolution, (New York: Praeger, 2000), http://www.ratical.org/LifeWeb/Erthdnce/erthdnce.html. 12.Terry Mollner, “Economic Maturity Beyond Capitalism: What Will Define the Next Stage?” in World Affairs, (Volume 5, Number 2, April-June 2001), 60. 17. George Soros, “The Capitalist Threat,” Atlantic Monthly, February 1997, http://www.theatlantic.com/issues/97feb/capital/capital.htm. 18. Margret J. Wheatley, “Restoring Hope to the Future Through Critical Education of Leaders,” in Vimukt Shiksha, (March 2001). 19.Duane Elgin, Promise Ahead: A Vision of Hope and Action for Humanity’s Future, (New York: William Marrow, 2000) 158. 20. Bernard Lietaer, The Future of Money: Creating New Wealth, Work and a Wiser World, (London: Century, 2001), 282. Indicators of an Emerging Paradigm, (May 1997), http://www.awakeningearth.org/reports/gcc/gcfive.html. 28. 28.Edgar S. Cahn, No More Throw-Away People: The Co-Production Imperative, (Washington D.C.: Essential Books, 2000), 68. 29. Hazel Henderson, Building a Win Win World: Life Beyond Global Economic Warfare, (San Francisco: Berrett-Koehlers Publishers Inc., 1995), 210. 34. Michael Shuman, Going Local: Creating Self-Reliant Communities In A Global Age, (New York: Routledge, 2000), 50. 37. Michael Shuman, “Amazing Shrinking Machines: The Movement Towards Diminishing Economies of Scale.” In Newvillage: Building Sustainable Cultures, (Issue 2 2000), 22. 38. Karen Lehman and Al Krebs, “Control of the World’s Food Supply,” in The Case Against the Global Economy and for a Turn Towards the Local, Edited by Jerry Mander, and Edward Goldsmith. 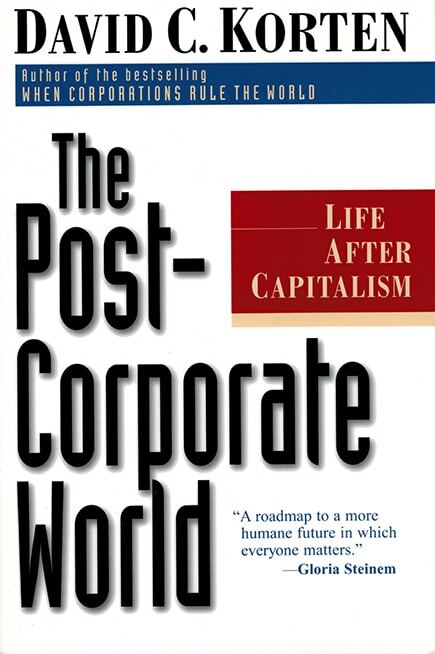 (San Francisco: Sierra Club Books, 1996), 123.